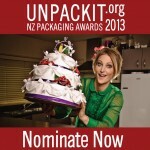 Nominations are now open for the 2013 Unpackit Awards. It only takes a minute to nominate packaging you love or hate. Your chance to encourage companies to choose packaging which is better for the environment. Campbell Live Features Wanaka Wastebusters! Campbell Live ran a programme on Wanaka Wastebusters recently! “One small town in New Zealand could really teach Auckland a thing or two about recycling.” Hmm…kind of ironic. Maybe someone should tell the council??? Click here to see the story. Posted in At home, At Wastebusters, At work, Projects	| Comments Off on Campbell Live Features Wanaka Wastebusters!